No cross reactivity with Histone H2A phosphorylated at Serine 1. Western Blot of (1) acid extracts of HeLa cells; (2) recombinant Histone H4. 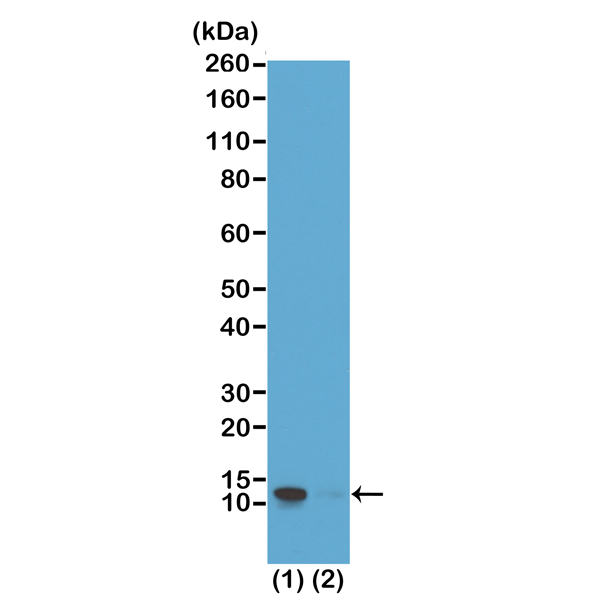 Using RM194 at 0.5 ug/mL, showed a band of Histone H4 phosphorylated at Serine 1 in HeLa cells. 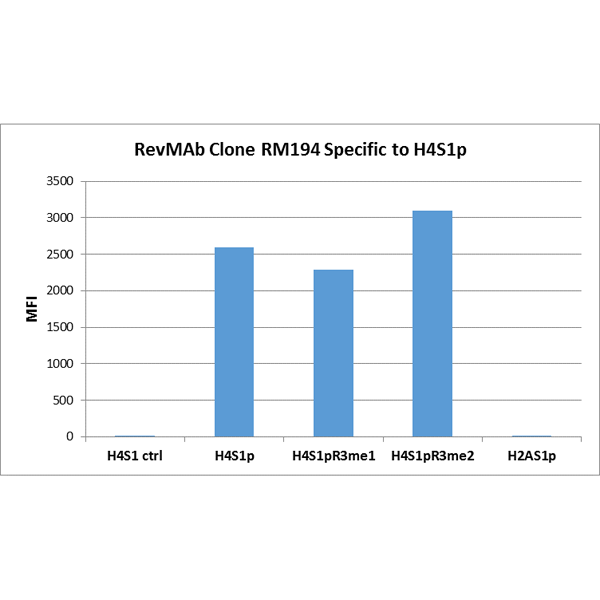 RM194 specifically reacts to Histone H4 phosphorylated at Serine 1 (H4S1p). The reactivity is not affected by neighboring Arginine 3 modifications (H4S1pR3me1 and H4S1pR3me2). No cross reactivity with Histone H2A phosphorylated at Serine 1 (H2AS1p). 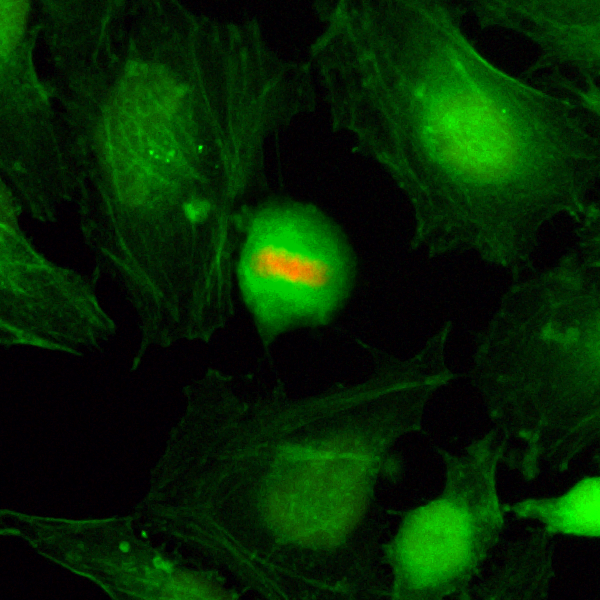 Immunocytochemistry of HeLa cells, using Anti-Phospho-Histone H4 (Ser1) Rabbit mAb RM194 (red). Actin filaments have been labeled with fluorescein phalloidin (green).